When you have your car serviced at an authorized Volvo dealer like Perrysburg Auto Mall, we make a pledge to you. Volvo promises to simplify your life with an outstanding combination of quality, reassurance and expertise. Perrysburg Auto Mall’s ASA certified technicians are experienced with all Volvo makes and models and will ensure their service comes at a great price! We are committed to a healthy environment, the protection of our planet, and the safety of everyone who lives on it. 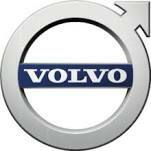 New Volvo Sedans, Crossovers, SUVs and Electrified Options are all available at the Perrysburg Auto Mall. Volvo sedans put you at the heart of a luxury experience with unique Scandinavian design, refined comfort, bold performance and advanced technology. Packed with innovative tech like Pilot Assist and our touchscreens, our sedans make life easier by keeping you informed and entertained. Volvo sedans are equipped with cutting-edge safety innovations such as City Safety auto-braking technology to protect what is important to you. A modern expression of some of our most loved vehicles; these versatile vehicles deliver an exceptional luxury experience. With bold lines and rugged details, our crossovers have a muscular presence. Take your adventure to the next level with an elegant interior, crafted from the finest materials. Enjoy plenty of cargo capacity to match your energetic lifestyle with large load compartments created to fit all your gear. Whether you are taking a road trip or a refined city drive, our elegantly spacious SUVs are detailed with luxury, innovation, all-road capability, and a commanding view of the road. Luxury artistry, thoughtful storage solutions, and a higher seating position for the most commanding and comfortable driving experience. Our plug-in hybrid technology delivers an exhilarating drive with high performance and intelligent power. At Volvo, they are taking the lead with electrification in the auto industry. Their commitment to world-changing innovation and the demand for power, fuel efficiency and environmental friendliness will drive a broader range of hybrids and fully battery electric models. All designed to improve your life now and in the future. Now you can own a Certified by Volvo vehicle and enjoy distinctive features that fit your lifestyle. That includes luxurious Scandinavian quality, an intuitive infotainment hub, world-changing safety innovations and outstanding performance. In addition, take advantage of worry-free ownership benefits on our pre-owned vehicles. That is because each certified by Volvo vehicle meets the strictest criteria and is backed by our unlimited mileage warranty.